John Sutliff, former co-owner of Sutliff Auto Group joins Landmark Commercial Realty, Inc. after nearly three decades in automotive industry. John and his team handled numerous commercial land management/transfers including managing ten major building and location sales for Sutliff Auto Group from the business owner side. John worked with Landmark Commercial Realty on the majority of these transactions. 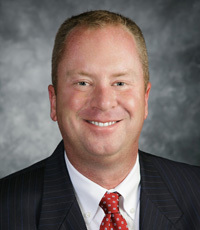 According to David Remmel, P.E., SIOR – President, Broker of Record and Owner of Landmark Commercial Realty, Inc., Landmark has been involved in many automotive-related transactions from site selection assistance to acquisitions to dispositions and relocations throughout Central Pennsylvania. Several former car dealerships have been converted or redeveloped for other uses including: Appalachian Brewing Company on the Carlisle Pike (Mechanicsburg), Walmart (near Capital City Mall) and Lancaster County Bible Church (LCBC) on U.S. Route 30 in York (a Candlewood Inn & Suites is set to open on the additional property alongside LCBC). Some of their most recent clients in addition to the Sutliff Auto Group, include: Advanced Auto Parts, AutoZone, Enterprise Car Rental, Forbes Chevrolet, Monro Muffler and Sheetz Markets. And returning back to his roots, in early March of this year, John represented his former employer, Sutliff Enterprises, to help close a $3.6 million deal. PinnacleHealth System purchased the former Sutliff Capital Ford property located at 1000 Paxton Street, Harrisburg (Dauphin County, PA). The property, located on the corner of Cameron and Paxton Streets, includes 7.6 acres of land, along with a 50,000 square foot facility. It was on the market for about two years and owned by Sutliff Enterprises since 1999. PinnacleHealth’s immediate plans are to utilize the property for fleet maintenance and the relocation of their Community Life Team. John knows from experience he can easily walk his commercial real estate clients through the, often times, overwhelming process from both the buyer and seller sides. “I experienced it all. I understand the challenges and how long the entire process may take. I recognize it can be a roller coaster ride at times, but I can make it less jarring.” John has broad historical knowledge of area properties. An expert in acquisitions, disposals, “green fields” management and renovations, John’s real estate and business skill sets make him a unique and versatile resource for commercial real estate buyers and sellers who can efficiently determine what is needed to complete a deal efficiently. Commercial Sales Leasing, Landmark Commercial Realty, Inc. Landmark Commercial Realty provides a wealth of expertise to aid clients in making informative decisions about their property needs. From brokerage services to consulting and market information, their team of dedicated realtors will provide the most relevant information for your commercial and industrial real estate needs.